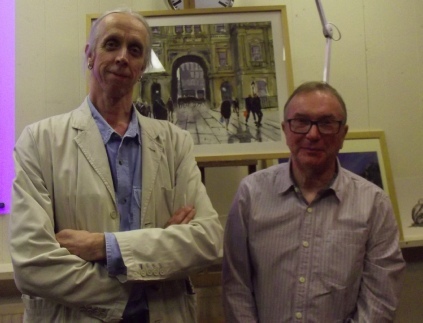 The Society welcomed back an old friend, Adrian Metcalfe, who treated the members to an excellent evening of expert critique. Adrian works in all areas of art and explained how his work has developed and changed over the years. Over 30 paintings were brought to be critiqued, and were offered a comprehensive, yet succinct commentary on their work. Adrian gave us his thoughts on each painting, discussing the merits and offeringthoughts on areas or ways it could be further improved, in a positive and constructive manner. He congratulated all the members on the standard and range of diversity of the work, which ranged from abstract to portraits in several medium, including pastel, watercolour, pen and wash and oil. 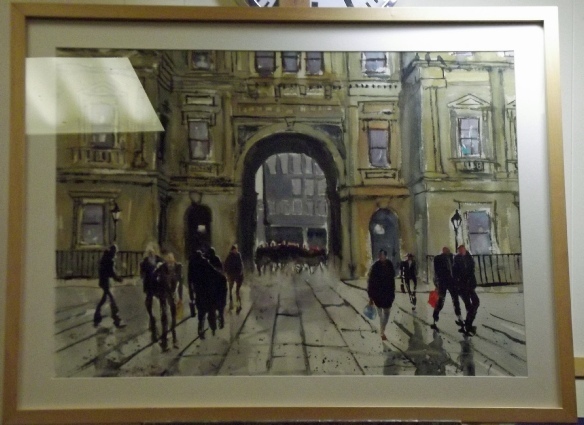 At the end of the evening The Critic's Choice was awarded to Phillip Ross, for his watercolour of a busy street scene. The Members of the Society would like to thank Adrian for sharing his time and expertise. Words and photos by Jude Smith.